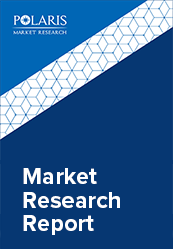 The global Heat Exchangers market is anticipated to grow at a CAGR of 6.9% between 2018 and 2026. The global industry has witnessed a significant demand growth in the past few years and is expected to continue to grow on account of rapid industrialization across many parts of the world. Chemical, petrochemical, automotive, HVAC, and food & beverage industry are among the top end-use industries driving the global demand for these equipment. The countries in North America and Europe such as the U.S. and Germany respectively have generated a profitable market for the heat exchangers. However, the growth in per capita consumption income in countries such as China, India and the developing countries of Southeast Asia (Indonesia, Vietnam, and others) have led to rigorous industrial development which in turn has positively influenced demand of these equipment. The industry, coupled with the above-mentioned drivers is strongly driven by the growing demand of energy efficiency and reduced carbon emissions. Increasing consumer preference for energy-efficient and smart products (buildings & electronic devices) has helped evolved the heating equipment market in a very technologically advanced way. Government support & initiatives across different regions and countries has played a significant role in taking heat exchangers towards energy-efficient end-use industries. New efficiency norms by agencies such as Office of Energy Efficiency and Renewable Energy (DOE), Paris Summit, and country level energy commissions have extensively introduced mandates regarding smart construction & manufacturing in the industrial, commercial, and residential sectors for a sustainable environment. The global heat exchanger market has been segmented on the basis of product types, materials used for manufacture of these equipments and its end use industries. The product segment is further bifurcated into shell & tube, air cooled, plate & frame, extended surface, heat sinks, regenerative and printed circuit (PCHE). Shell & tube heat exchangers are further bifurcated into U- tube, straight tube (1 and 2 pass tube side). Graphite made shell & tube heat exchangers are further bifurcated into cubic, graphite block, polytube graphite heat exchangers. Plate and frame product segment is further segmented into gasket, welded and brazed heat exchangers. In terms of materials used for construction of these equipment the market is further subdivided into carbon steel, stainless steel, nickel and others. The end use industries segmented into pulp & paper, automotive, healthcare, chemical, electronics, petrochemicals, food *& beverage, HVACR and others. Shell & tube exchangers were the largest product types in 2017. These are one of the most widely used heat exchanger for industrial applications. These are generally selected for applications such as hydraulic & lube cooling, compressor & engine cooling, in heat recovery for thermal energy conservation efforts, process gas or liquid cooling, refrigerant vapor and steam condensing. Asia Pacific segment accounted for the majority share of the global market in 2017. The region is expected to hold over thirty percent of the total global industry over the next nine years. Asia Pacific region’s increasing manufacturing industry size, developing chemical, oil & gas, petrochemical setors are among the major contributors to product demand. Rising construction projects in industrial and commercial establishments are expected to drive HVAC market in the region. Constructive regulatory strategies in Japan and India to develop solar and thermal energy are projected to drive product demand in the power generation industry in the region. Growing need for heat recovery applications in HVAC, chemical and food & beverage manufacturing industry is anticipated to drive these equipments demand in the region. Some of the leading industry participants include the Alfa Laval, Kelvion Holdings of Germany, SPX Corporation, Xylem Inc., Danfoss A/S, API Heat Transfer Inc., Guntner GmbH & Co. Kg, Hamon & Cie International, Hindustan Dorr-Oliver Ltd. and Hisaka Works, Ltd.